We can’t deny that all CMS including Magento does have some limitations, but that doesn’t mean it’s the end of it. Countless of Extensions and Plug-ins are made available with ease to use and sort out anything you want, a quick solution to any concern and a beautiful add-on for both customer and user satisfaction – Freedom, Functionality, and Flexibility. Here are some of our top picks that will certainly want you to install it instantly on your online store in an instant that is vouched and approved by professional Magento Developer ! When it comes to purchasing online, the mindset of the common individual will always have doubt and wants assurance that their money will get its worth. Fear from ongoing scams and trickery will always want a customer to feel that your website is legit, working, and is certainly worth the pay. To cover all of that, security is one of the prime answers. When dealing with money, everyone wants security, banks themselves have more than 4 guards in a single day just to let their clients feel secured, the same thing applies on your eCommerce website. Fontis SecurePay is a plugin that ensures all the customers that their payment details are in safe hands, this plugin allows such security by utilising Secure XML gateway. This is the best solution to strengthen your walls from any mishaps. When it comes to shopping, it is quite a hassle if you can’t set the price range to your likings – thus, a perfect solution to provide better shopping experience to you valued online customers is to give them the option to set it on their specific price range. This not only gives them ease and save time when searching for the item they want but also allows you to be not too pushy on items you’d want to sell, give them the total freedom to pick kind of thing that most people appreciate. One thing that you should keep in mind when having an online store isn’t just about selling, it is also about retention. What good can it do when you will only have a onetime purchase from a customer while your competitors have new customers plus they still get money from the previous ones? Sweet Tooth is a reward or loyalty points’ extension that allows the customers to earn points while they purchase, in return this will give them a reason to come back for more and more. This is a sure win for both the merchant and the customer – a great investment in the long run. When it comes to visibility and clarity of certain items, of course, it will be deemed necessary to check on it in a very detailed manner, and every customer has the right to it. People might have some problems when it comes to very limited zoom and doesn’t continue the purchase because of it. A quick solution to ensure them great satisfaction when checking a certain product is this plugin, it works wonders as it also does the job on smart phones and tablets, hence, it really extends customer purchasing experience on products in an array of screens. Magento, without a doubt, is one colossal platform when it comes to eCommerce, unbeatable as experts say when it comes to performance. But, even with its amazing powers in its designed field, it will still have some bugs from time to time due to its size. 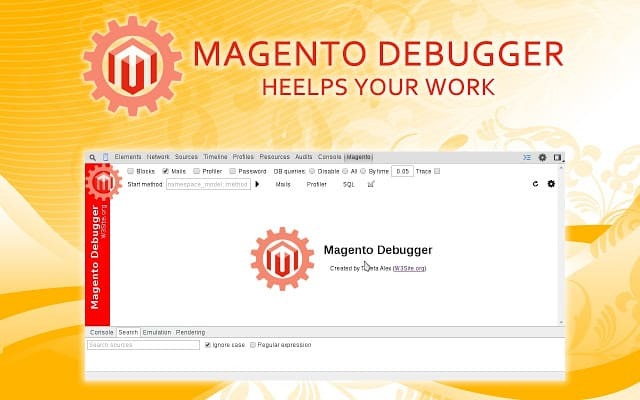 A quick help to solve all of that is this extension that thousands of Magento Developers heavily rely on. Just make sure that this should always be present on any Magento online store to keep the confidence levels up high whenever certain bugs might be present. If you have a big eCommerce website, it would be quite sad to say it’s still not big enough without any live chat support which is certainly a must to provide excellent customer support. Imagine a store without anyone to talk to when inquiries or concern arises, some of them might even wish to purchase multiple items at once but just have some little clarification. Zopim Live Chat answers this kind of situations without any problems at all. Speeding up your response time will effortlessly increase your credibility and will make sure you do retain every last customer present out there. When it comes to blasting activities and promoting more and more customers to visit your site, there is no other thing to do but do promos and discounts! Not only that you will have more reason for people to buy on your store, but will also inform them that your site is always ongoing and reliable. People love to buy stuff that are with a little discount, we know you won’t go broke removing 5% off a certain item even if it is on a daily basis, the Daily Deal extension provides you the best solution to it – customer satisfaction is easy as pie. In any online business, they always believe that email marketing is indeed the way to go to have more customers visiting your website again and again. Well, they aren’t wrong and that is why we recommend this great plugin for you. It is powerful and gives that calling feature to make sure they’d sign in for your newsletter so that you can instantly give them the latest offers which will make sure you’ll have successful customer retention. Last but certainly not least on our list that we believe can further increase the credibility of a certain online store is that when they allow the customer to provide a review on their product. This takes a lot of courage, negative or positive reviews will still greatly benefit the overall site, and this is one key to retaining more customers and earn their trust.